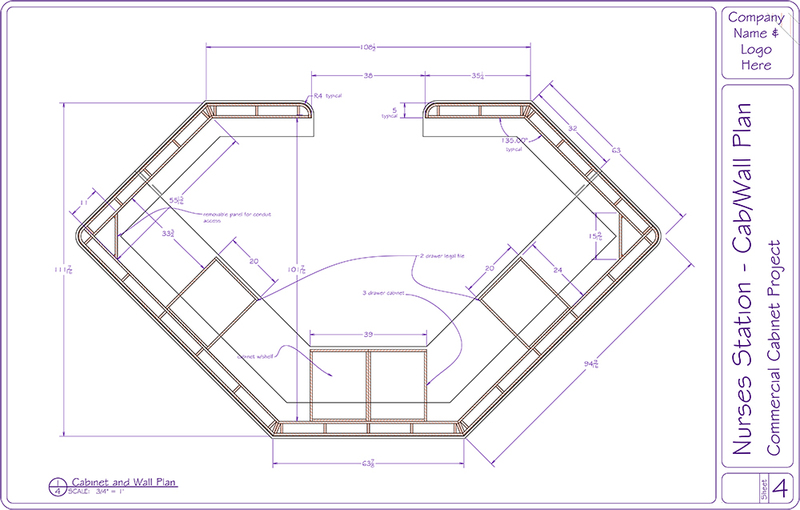 Click the image to view a larger image online, or click the link below to download a PDF file, 3 24 x 36 sheets of a residential kitchen project. 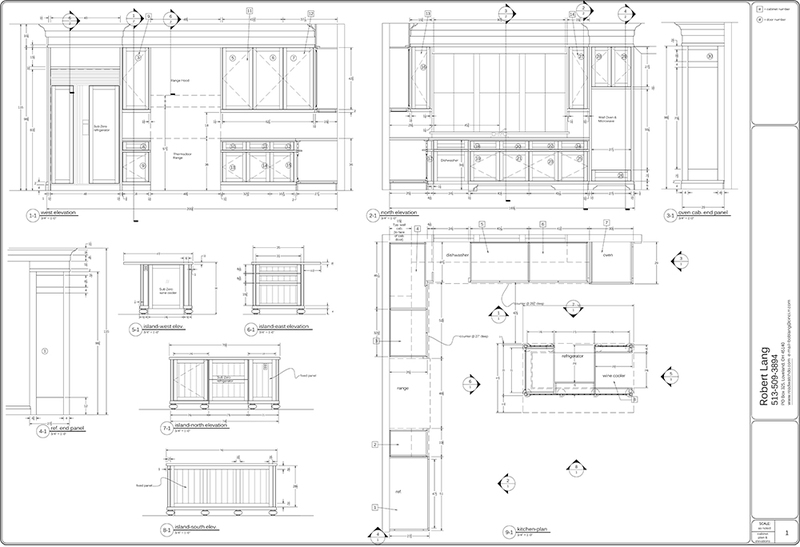 Good drawings are essential for success in the custom cabinet/architectural millwork business. They are a clear representation of a project to both the client and to the cabinetmakers who do the actual work. If you need great drawings, delivered on time and at a reasonable cost we should talk. I bring more than 30 years experience in the business, everything from bench work to installation to managing and engineering projects as small as a single piece of furniture and as large as multi-million dollar residences and commercial projects. Much of that time was spent preparing drawings and figuring out how to get from an idea on paper to delivery in the most efficient way. I’m familiar with industry standards and common construction methods, but I also take the time to ensure that your drawings reflect your methods and preferences. If you have an existing format and style for your shop or submittal drawings, I’m happy to match that. If you don’t, I’m equally happy to work with you to develop a style of presentation that meets the needs of the folks in the shop and impresses your clients. I can work in AutoCAD, and I also create 3D models with SketchUp Pro. The two programs play nice together and I’ve spent a lot of time developing an efficient work flow that minimizes design time and delivers accurate information and great looking documents. If you’re interested in learning how to integrate SketchUp into your workflow, I’m available to teach you and your staff how to make the most of the best (and least expensive) option for designing, planning and presenting your custom work. I can also work with you to create a library of SketchUp models of your commonly produced items. That provides you with the benefits of an expensive parametric modeling system at a fraction of the cost. 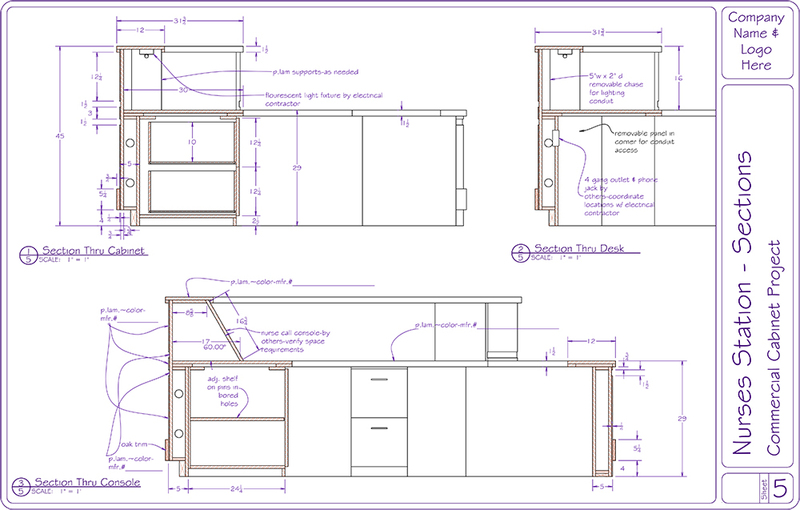 Click here to read about using SketchUp for Cabinet Shop Project Management. Click on the image for a larger version, or click on the link below to download a PDF file of this commercial cabinet project. Experienced, expert help only when you need it. Minimal investment in full-time staff. Drawings produced to professional standards. Construction details to meet AWI standards. 3D renderings available in addition to standard 2D drawing formats. I understand the cabinet/millwork business and I also understand what it is like to run a business. There are many hats to wear and not enough time to take care of everything. My goal is to establish a relationship with my clients so that planning work and generating drawings is reliable, predictable and affordable. I’m in the Cincinnati area, but in this digital age it’s easy to work at a distance. 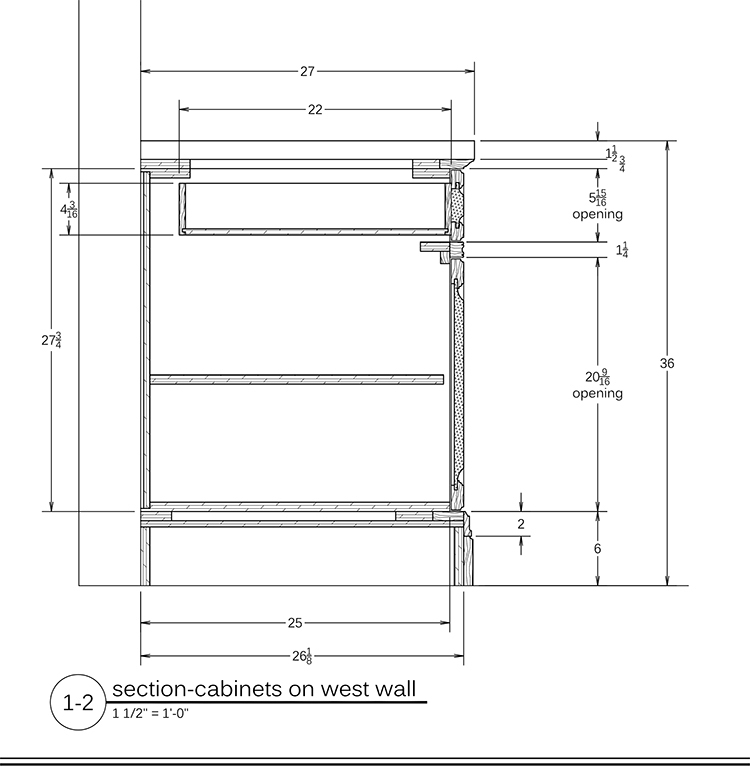 CLICK HERE TO DOWNLOAD A PDF FILE (5 11 X 17 PAGES) OF THIS COMMERCIAL CABINET PROJECT. Include your phone number and the best time to call and we can discuss how I can help you to produce your drawings.